on Monday i finally went back to Notre Dame to light candles for lost babies. i like to wander my way to places in Paris which means that i rarely go the same way twice. the weather was a bit capricious, going from cloudy to clear, from pleasantly warm to far-too-cool for what i was wearing and back again. This entry was posted in France, grief, indian food, les frigos, little sun, Notre Dame, Paris, sunshine, the kindness of strangers, wandering and tagged babyloss, Notre Dame de Paris on 2 May 2013 by le petit soleil. i’ve been trying to post something for days now, but the words just haven’t been flowing. Tuesday was little sun’s three-month birthday, and yesterday…yesterday marked three months of his being gone. every month on those two days, Froggy and i become distracted and fragile. we’re both bombarded by images of every moment we lived with our little boy, and it overwhelms us make us both shut down emotionally. Monday i went to Notre Dame again, and this time the line was almost nonexistent, so i went inside. This entry was posted in France, grief, indian food, little sun, Notre Dame, Paris on 7 March 2013 by le petit soleil. my shrink lives in the Marais, the gayest area of gay Paris, in the Jewish quarter where you can get the best falafel in town (just ask Lenny Kravitz.) i’ve been going every Monday for the last few weeks, and it forces me to get out of bed before late afternoon and go out to be a part of the living. i no longer spend the entire métro ride hiding tears beneath a lowered head, and i have even come to enjoy being in a charming part of Paris where i can wander undisturbed among the queers and the jews and the starry-eyed tourists. 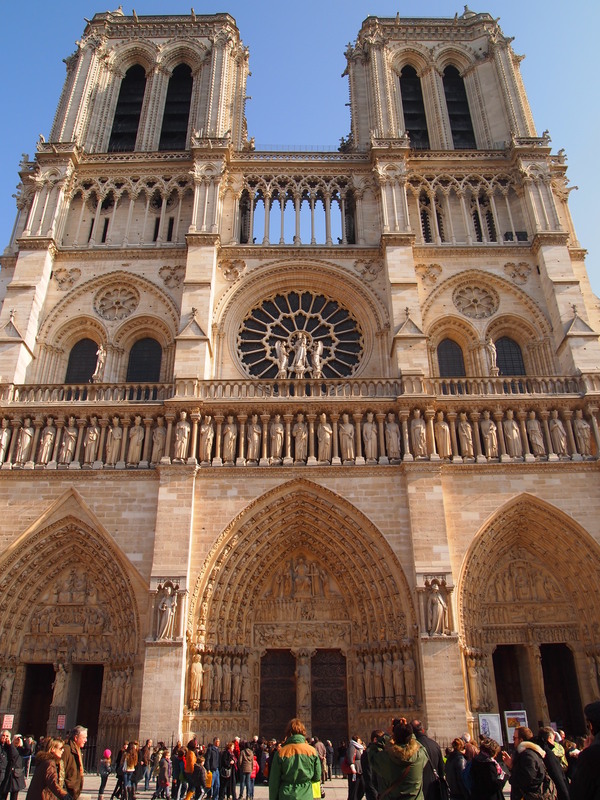 This entry was posted in France, Froggy, grief, indian food, little sun, Notre Dame, the kindness of strangers, wandering and tagged babyloss, neonatal loss, Notre Dame, Paris on 26 February 2013 by le petit soleil.